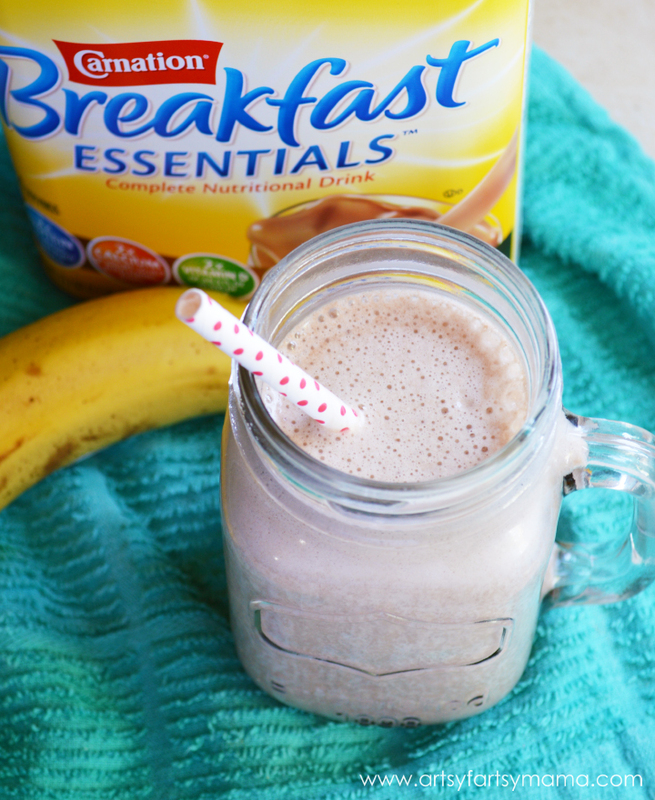 This chocolate milkshake smoothie is made with Carnation Breakfast Essentials, so it's a healthy and quick breakfast option for kids, teens, and adults! Not to mention that you can whip up this milkshake in just minutes, so it makes for a great breakfast, or even as a healthy dessert. Each serving of Carnation Breakfast Essentials is packed with nutrients: 21 vitamins & minerals, 13g protein, and as much calcium as a 6 oz cup of yogurt, so you don't need to feel guilty about your breakfast tasting delicious! I found all the Carnation Breakfast Essentials products in the breakfast aisle in my local Kroger supermarket. Look for Carnation Breakfast Essentials offers here for money-saving Kroger coupons! 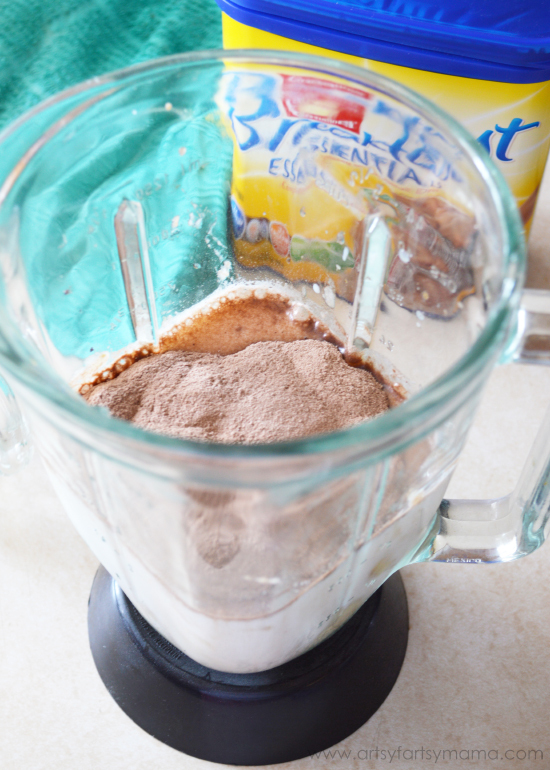 Add bananas to blender or food processor, and blend until creamy. Add milk and Carnation Breakfast Essentials. My daughter loved this smoothie and I loved that I was giving her something healthy even though it tasted like a treat! You can also add in any other fruit variations to mix things up and suit your tastes. 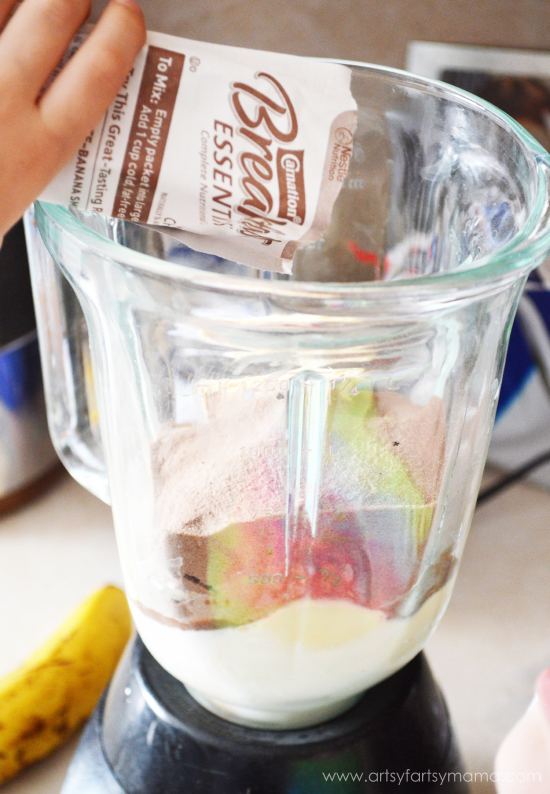 Add frozen yogurt, milk, and Carnation Breakfast Essentials to blender. 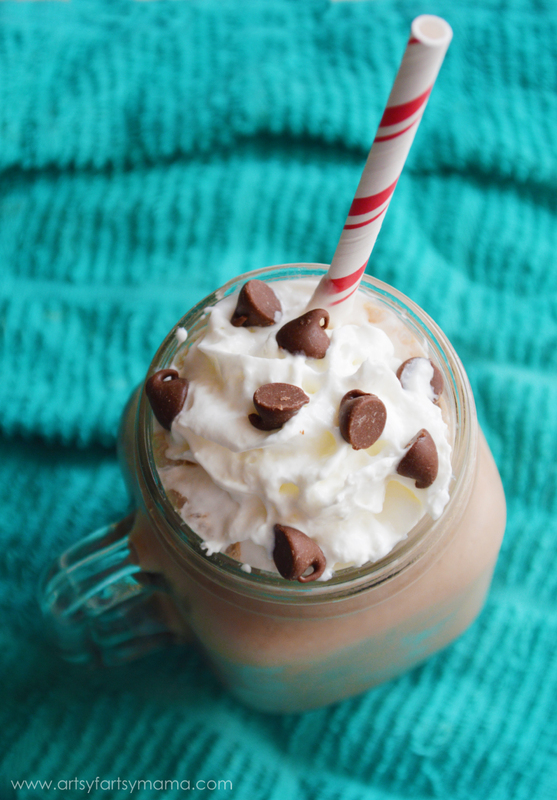 Pour into glass and drink as-is, or top with whipped cream and any other desired toppings. So, yes, you CAN have a milkshake for breakfast and not feel guilty about it. Each of these recipes are easy enough that the kids can make them this summer, and you can feel good that they are having a healthy snack! 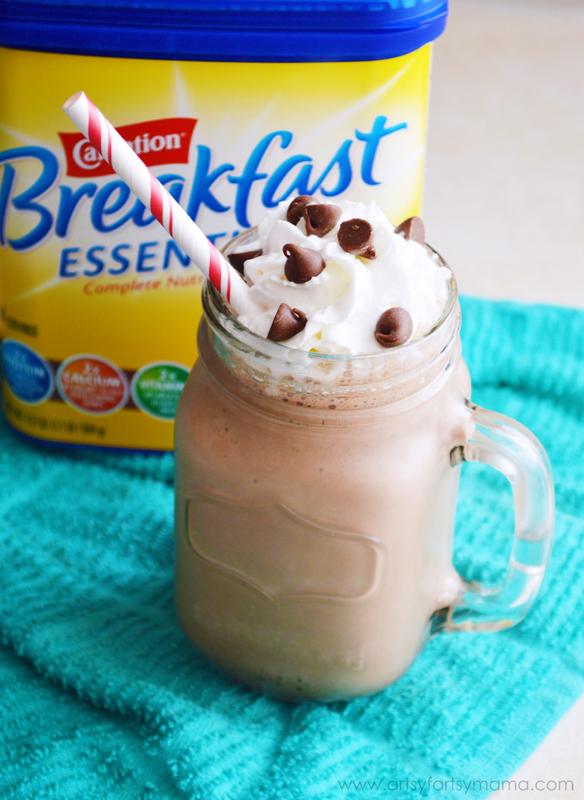 Visit Carnation Breakfast Essentials for even more delicious smoothie recipes and follow them on Facebook! Looks divine!! Hubs isn't allergic to bananas but can't tolerate the smell. I'll have to hope frozen mixed with chocolate will get past him---or do it when he's not near me. The milkshake would be a great substitute for him and our son. They love them and this is surely healthier than one bought at a frozen yogurt store. What kind of blender are you using?? It looks like it works really well!! Home made shakes so yum. What a smart, healthy, and yummy way to start the day!